A while ago, I came across a very simple and inexpensive way of cleaning plush toys. Sweaters, blankets, and comfort foods all show up this time of year, but many people also break out slippers and nostalgic stuffed toys. Maybe it’s time for kids to have their stuffed animals take a bath. 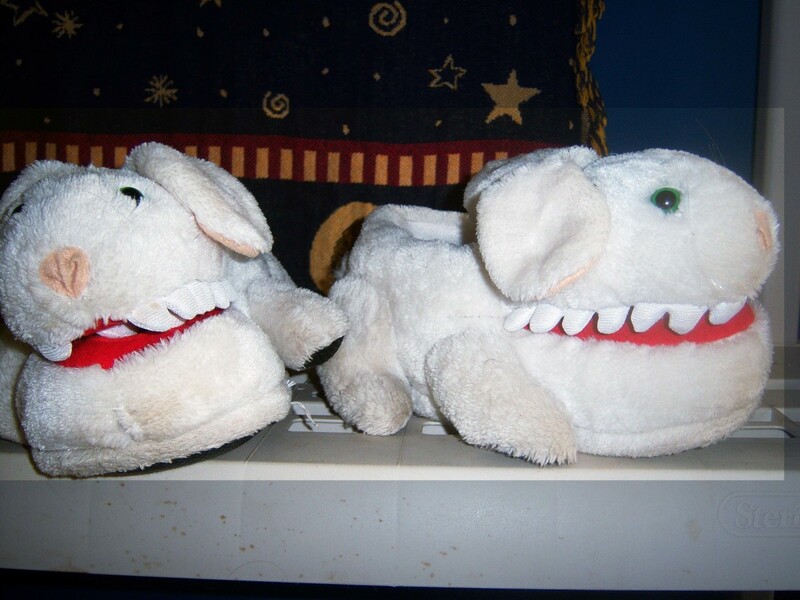 A while ago, I came across a very simple and inexpensive way of cleaning plush toys. 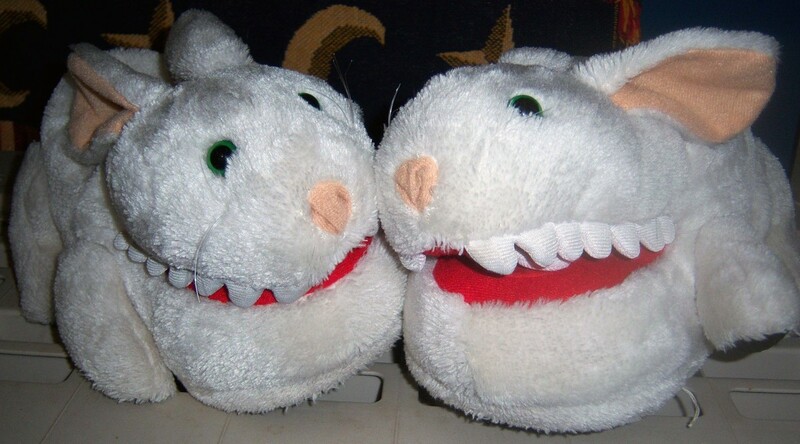 Since I wear my Killer Rabbit slippers all the time, they tend to get a little dingy. Recently, I washed them using this method. However, I have also used it with great success on a much loved hand-knit doll my grandmother had made for me when I was five years old. Gather the toys and any other laundry that may need washing. If the fabric of the toys has any special needs, be sure to keep them with clothing made up of similar materials. I suggest washing them with clothing because it provides better agitation. As an added bonus, doing this saves on water and energy. 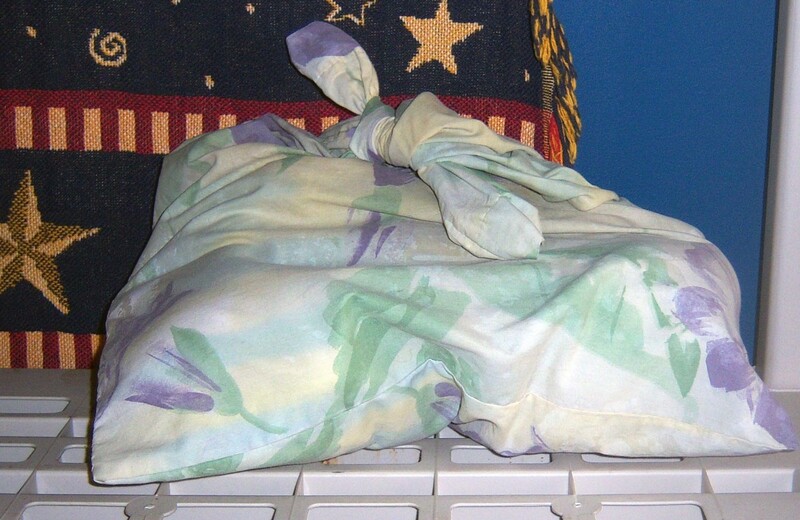 Put the toys in the pillow case, then tie the top. The pillowcase will minimize possible snags and helps the toys keep their shape in the wash.
Feel free to ignore any cries for mercy. 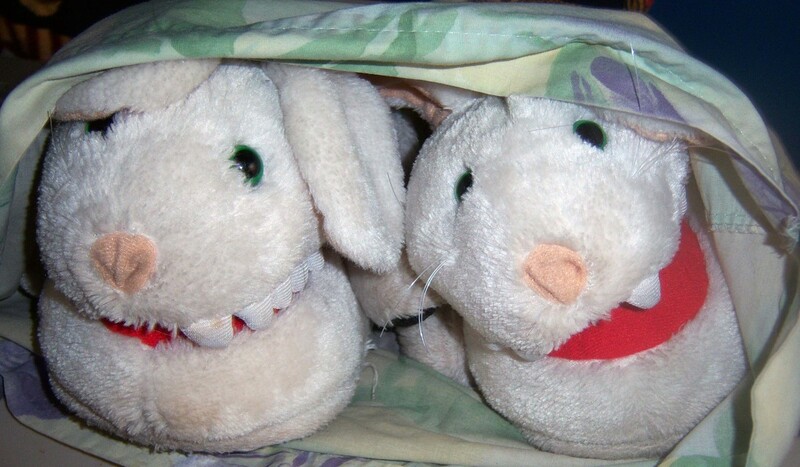 These bunnies might seem a little claustrophobic, but a little time in an enclosed space won’t hurt them, promise. 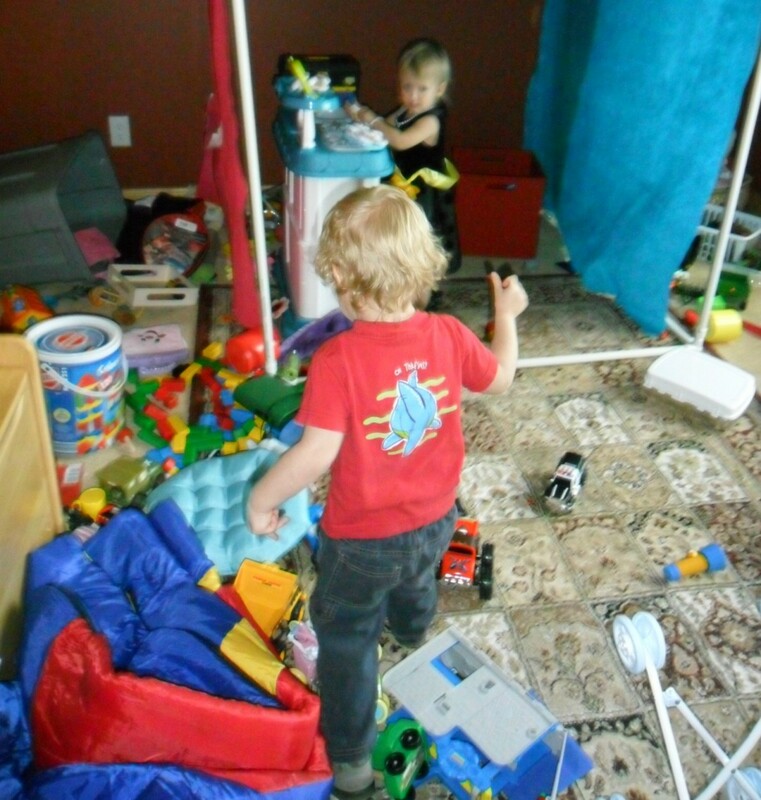 Put the toys in the washing machine with the laundry and continue as usual. 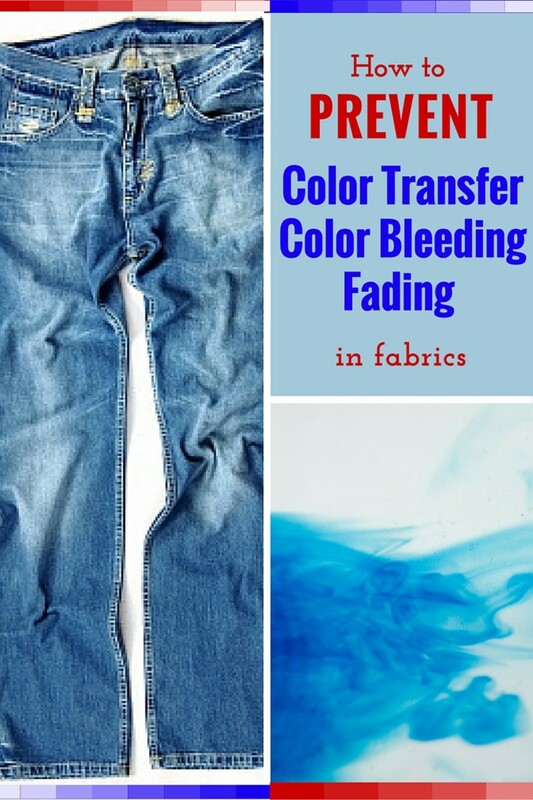 If there are any stubborn stains, they can be pretreated. Because my bunnies are white, I stuck them in with my whites. I already knew the type of fabric the mouth is made up of wouldn’t bleed, so I wasn’t worried about turning anything pink. No one sees my husband’s socks, anyway. These are not made of anything overly exotic, so I just washed them on warm/cold, regular cycle, single rinse. If there’s any question to the delicacy of the toy’s materials, opt for cold water, on the gentle cycle. In this case, I can just toss the slippers into the dryer, while still in their pillow case. My rabbits have a habit of escaping their casing sometime during the drying cycle. Although they’re a little tricky like that, they’ve never suffered for it. Don’t worry if the toys are still a little damp. Just let them air dry the rest of the way. So long as they’re not soaked for long periods of time, there’s no need to worry about mold growing. Some toys may do better when dried flat. 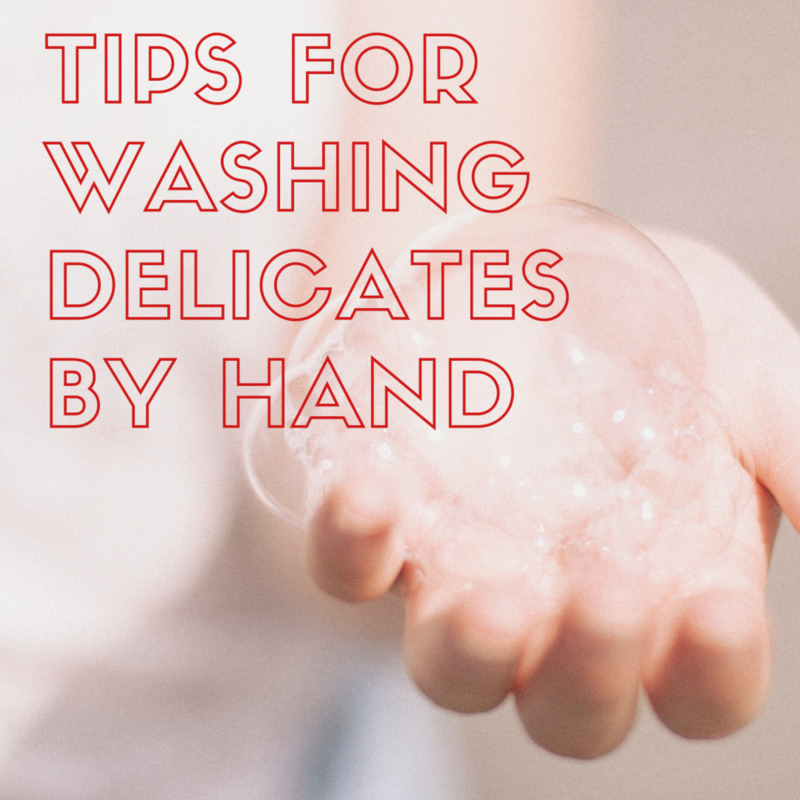 If you’d like to speed up the drying process, you can put most toys into the dryer for a little while to partially dry them, then either hang them up or keep them flat to keep the shape. Another option would be to put them at a safe distance in front of a space heater. If using the space heater, be sure to read the cautions which come with it, and adhere to the provided directions. When using propane run heaters, be sure your carbon monoxide detector is in working and the area is well ventilated. Safety first! Enjoy the clean toys or slippers! Buttons and other small, hard parts can damage the dryer and may tear the toy's fabric. 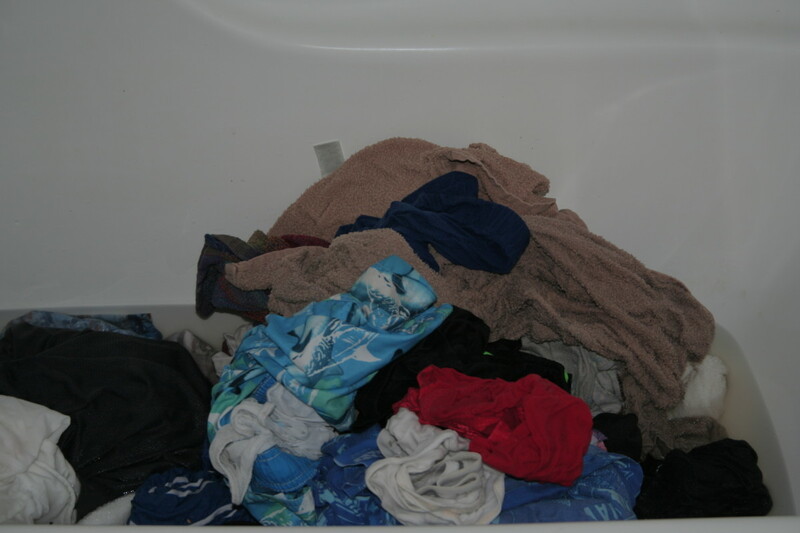 Taking precautions before washing, you'll avoid ruined treasures and expensive dryer repair. Do you still have a favorite stuffed toy? It's one of my guilty pleasures. Good deal! I hope it helps them out. Thank you! Hello ESPeck, I am sharing this with my GFs that have kids, or just like stuffed toys (they won't admit it though). 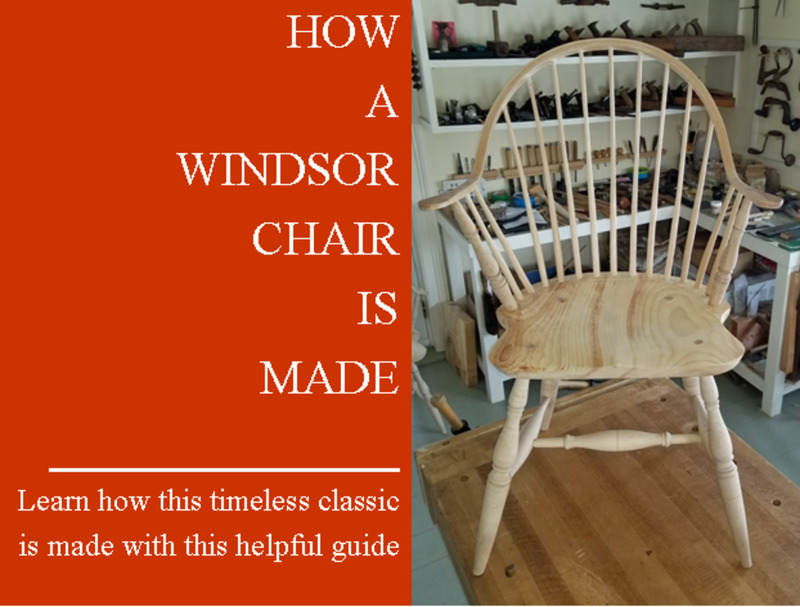 I am sure this will help a lot of people. Great hub!